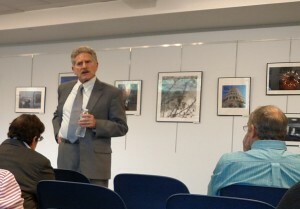 On Wednesday, June 3, a WLS Trustee Institute was held at the Greenburgh Public Library entitled, Everything you always wanted to know about Open Meetings Law (but were afraid to ask) with Robert J. (Bob) Freeman, Executive Director of New York State’s Committee on Open Government. Mr. Freeman—Bob—has been with the agency since its creation, and he came willing and able to answer all questions on the subject – and he did! What needs to be included in minutes? Does everything have to be disclosed for a FOIL request? The Committee on Open Government’s website is also a great resource. Not only does it have videos of Bob answering the questions above and many others; but it also has an index where you can look up advisory opinions on Open Meetings Law and FOIL by key phrase. Yet the best resource of all is Bob himself. As those who attended the event know, his passion regarding this subject is palpable, and his knowledge and understanding of the spirit of the law is impressive. He’s written over 25,000 advisory opinions! In the days following the event, I realize what a special privilege it is to have a State (New York is one of the few) who recognizes the need for Open Government (in the general sense) and its uniqueness to our Country. With privilege, though, comes responsibility; and I am also realizing the extraordinary responsibility taken on by the library trustees in our County. 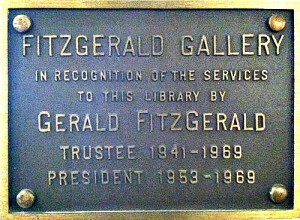 Trustees volunteer their time and talents not only to ensure that the resources of their own libraries are being used efficiently towards the library’s goals, but they are the ones who must keep the bigger picture in sight to ensure Open Government and fairness for all in their communities. 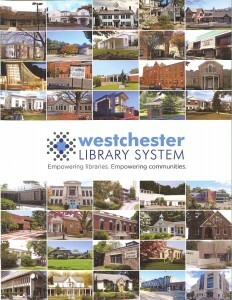 I would like to thank the over 300 library trustees in Westchester for their commitment to this unique and vital cause. Librarians, library directors, library trustees, government officials, and friends of libraries gathered on November 20 for the 55 Annual Meeting of the Westchester Library System (WLS) at the Sheraton Tarrytown. The highlight of the evening was the presentation of the second WLS Trustees Award. A total of 14 people representing 9 Westchester libraries received nominations for the Award, which was given for a commitment to provide open access to information and resources that foster innovation, inspiration and lifelong learning based on broad impact, innovation and collaboration. 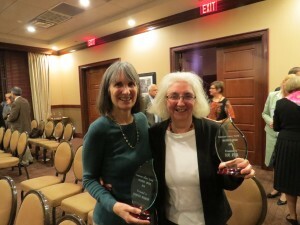 This year’s Award was presented to co-winners: Sue Feir, Director of the Hastings-on-Hudson Public Library, and Barbara Morrow, President of the Friends of the Hastings-on-Hudson Public Library. 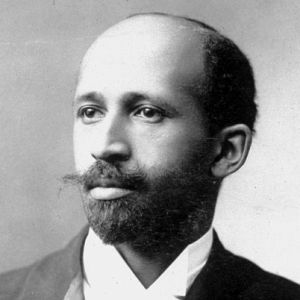 A number of their accomplishments were highlighted. Deployed the library to meet a public health need and began an annual blood drive, which in partnership with the New York Blood Center, became a regular library event held three times a year. Organized various events to celebrate the library’s 100th Anniversary as well as a lecture series titled, Dewey on the Hudson—completing the celebration with a bang-up party and marching band through the streets. Stayed on as President of the Friends to oversee new capital campaign, Above and Beyond: Expanding our Point of View, to extend the community room and build an outside deck overlooking the Hudson River. During the business portion of the evening, presided over by WLS President Chris Hansen, the following trustees were re-elected to a 5-year term expiring as of December 31, 2019: Mary Amato of Yonkers representing WLS District XV [Yonkers]; Hope Furth of White Plains representing WLS District XI [White Plains]; and Dave Donelson of West Harrison representing WLS District VII [Harrison, Purchase]. 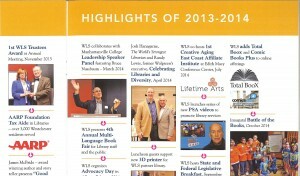 Terry Kirchner, WLS Executive Director, gave an overview of WLS’s accomplishments in 2014, many of which were noted in the distributed WLS Annual Report 2013-14. 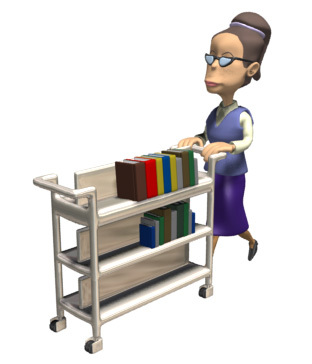 One important task of 2014 concerned the Integrated Library System (ILS). WLS will continue with the current vendor SirsiDynix and further educate staff about open source products. This well thought-out decision represented a huge time commitment by all who participated on the WLS-Public Library Directors Association (PLDA) ILS Committee. Other key areas for 2015 identified in conjunction with PLDA include: providing more eContent; supporting program initiatives such as Creative Aging workshops and Makerspace activities; expanded marketing and further promotion of services available at local libraries; enhanced wireless services with printing options; and of course, training for the ILS and exploring open source products. 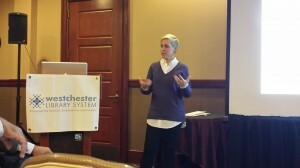 Keynote speaker was Kerri Willette, New York’s first Empire State Digital Network (ESDN) Manager. Ms. Willette is responsible for coordinating activities of the ESDN, a statewide service hub for the Digital Public Library of America (DPLA), which is being administered by Metropolitan New York Library Council (METRO) in collaboration with eight allied regional library councils collectively working as NY 3Rs Association, Inc. Ms. Willette gave an overview of the DPLA, which was launched in 2013 with 7.1 Million searchable digital objects, and spoke about what it takes to share data with the DPLA, which is not merely another search engine but a new tool that will help library’s special collections be discovered. One of the roles of the ESDN will be to contact regional libraries to find out what is being collected and making all libraries aware of how to contribute their content properly. The DPLA’s progress can be followed via the ESDN website and social media [@NYSdigital]; and Ms. Willette’s presentation has been posted to the WLS website. The Boxwood Alliance (www.theboxwood.org) offers a free aging in place resource for older adults and their families in Northern Westchester and Putnam Counties. The idea for both the website and the not for profit organization emerged from a group of professionals in the area who work with older adults, including an elder law attorney, a long term care insurance planner, a geriatric care manager, a nurse executive, and others. They had met in a geriatric coalition and decided to put their combined resources and information together in one place. Catherine Wynkoop of Pound Ridge helped to get the process started and is now the board chairman. To gain access to all the features of the site, including up to date feeds from national news carriers like the New York Times New Old Age Blog and Medicare Rights, users are invited to become a member. Membership is free. In addition, members are able to post comments and ask questions on the Community Forum page. On the Community Connections page, they can share recommendations and rate their experiences with local businesses and vendors. For all of you current and future librarians… mark your calendars. Here are some professional development webinars that might be of interest. All of these webinars are free of cost – yes, that’s right, they’re free! Across the nation, people ages 50 years and older will experience the theme, “Be active your way” during Active Aging Week, the annual health promotion event of the International Council on Active Aging (ICAA) between September 23-29, 2012. 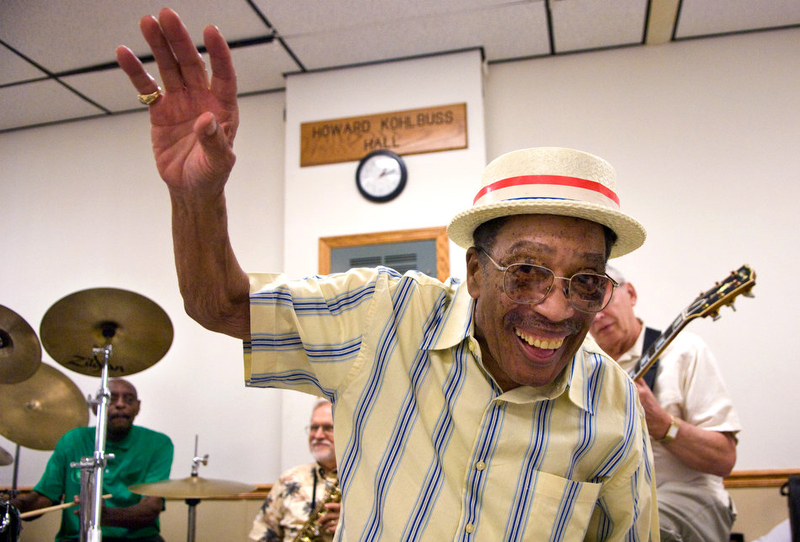 The Boxwood Alliance will join the national campaign by promoting events hosted by a wide variety of older adult programs and services across upper Westchester and lower Putnam Counties. With community support, the Boxwood Alliance is a collaborative, free aging in place resource in the region for older adults and their families. “These events are opportunities for promoting the wealth of programming available for older adults in our community. Unfortunately, many residents do not know the extent of quality programming available through local town recreation departments, libraries, local businesses, healthcare providers and others,” says Catherine Wynkoop, BoxwoodAlliance Chairman. According to the World Health Organization, “active aging” means optimizing opportunities for health, participation and security in order to enhance quality of life as people grow older. Go to www.theboxwood.org/events for a growing list of Active Aging Week activities. Check back over the next several weeks to see the list grow. We invite you to join us in celebrating the wonderful selection of free lectures, trips and special events (bolded) planned for older adults, their families and friends across upper Westchester and Putnam Counties, particularly during Active Aging Week. See also www.theboxwood.org/events, as this list is growing. 2-5 PM, Special Concert at the Mahopac Public Library (668 Route 6): The John Arrucci Sextet performing original compositions tinged with Jazz, Classical and World Music influences. Free admission. For more information, call 845-628-2009 or email library@mahopaclibrary.org. 3-4 PM, Garden Lecture at the Ruth Keeler Library: Gardens Filled With Life – Designing with Northeast Flora. The North Salem Open Land Foundation and the Library present this talk by author and landscape architect, Carolyn Summers. She will speak about the ways in which indigenous (native) plants form the basis of the food web that supports a healthy, biodiverse landscape. 276 Titicus Road, North Salem, New York 10560, (914) 669 – 5161. 1-2 PM, Wii Bowling exercise demonstration for Active Aging Week at the Fox Center, 198 Carpenter Avenue, Mount Kisco. Call 666-8766 to register. 6-7 PM, Mind-Body Wellness Workshop at the Somers Library, 80 Primrose Street, Somers, NY 10589. Register online at www.somerslibrary.org or call 914-232-5717.